At (770) 314-0390 or Contact us online. Need Heating or Cooling Services? When you’re looking for a heating system repair or air conditioning installation, you have a wealth of options. But how do you choose the HVAC company that’s right for you? At Cherokee Heating & Air Conditioning we help simplify your decision. We are located in Woodstock GA, and service surrounding areas including South Cherokee, North Cobb & North Fulton Area’s most trusted residential HVAC service and offer top-notch services to the neighbors you trust. For over 20 years Cherokee Heating & Air Conditioning has provided stellar HVAC service to the area. We are a fully prepared to handle any kind of HVAC job you may have. 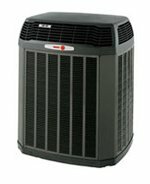 Weather it be a heating system installation, ac repair, custom ductwork, tankless water heater installation or general hvac services. Cherokee Heating & Air Conditioning brings a wealth of knowledge and experience to most every job and is fully prepared to serve all your heating and air-conditioning needs. Quality residential service is our specialty! Call Cherokee Heating & Air Conditioning today! Why Should You Choose Cherokee Heating & Air Conditioning, LLC?